Make sure you have CMake installed. 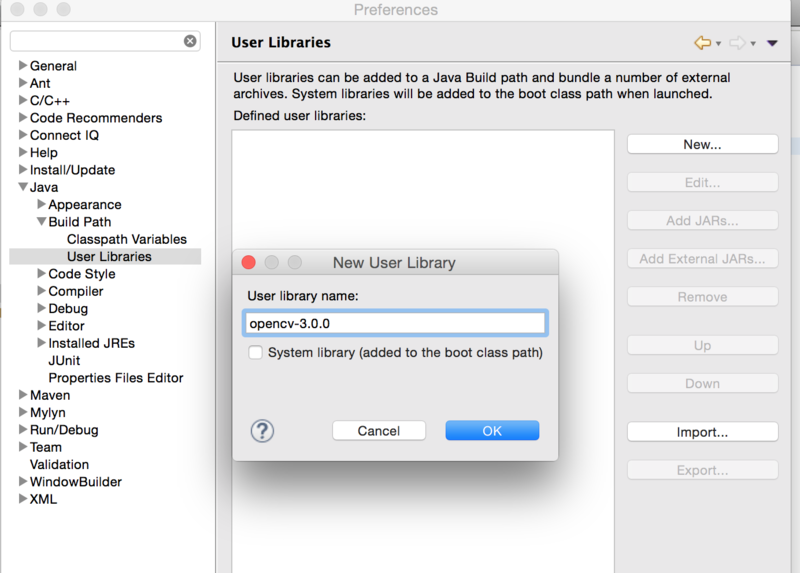 You can download a binary file for Mac here: http://www.cmake.org/download/ After extracting the .dmg file, copy it to the /Applications/ folder. /Applications/CMake.app/Contents/bin/cmake CMakeLists.txt. It shouldn’t take long. 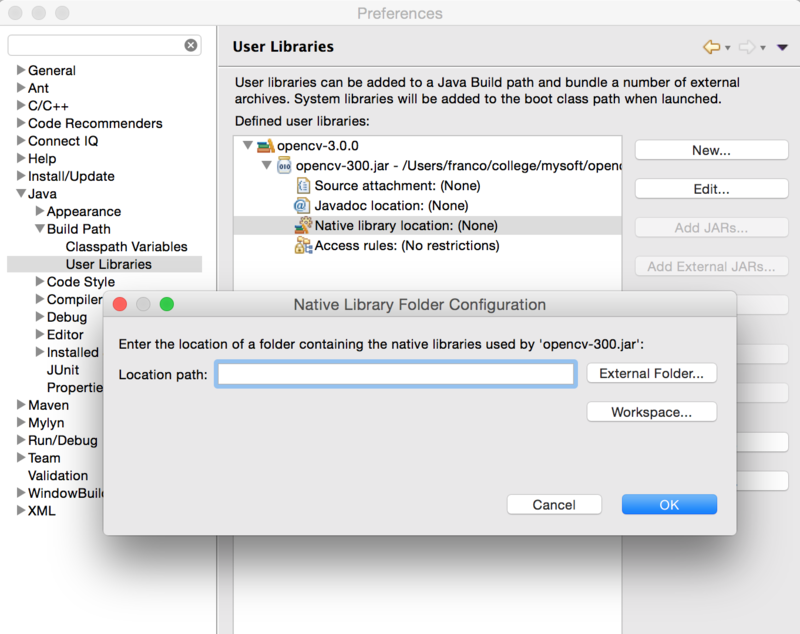 Check the output and make sure that java is listed as one of the modules to be installed. 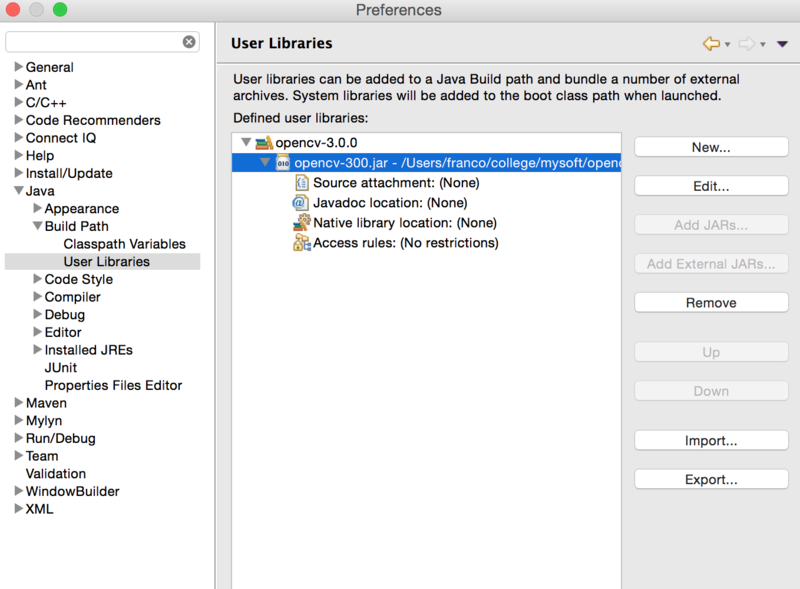 In Eclipse, open the menu Eclipse -> Preferences -> Java -> Build Path -> User Libraries. Click “New” and enter a name, I’m using opencv-3.0.0. 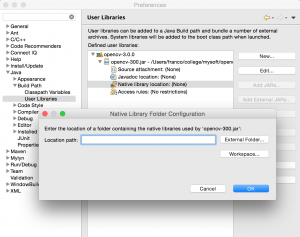 Click on “External Folder…”, and again select the directory where you have compiled OpenCV and click on the lib/ directory. Confirm and press OK (3 times). 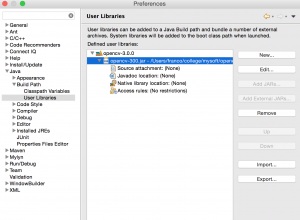 Select File -> New -> Java Project. You can use any name you want, say opencv-test. 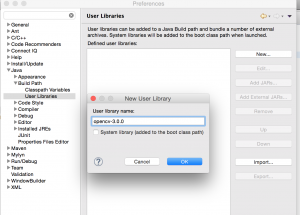 Right-click on the newly created project, select properties, then Library -> Add Library… -> User Library. Tick “opencv-3.0.0″, press finish and then OK.
// Change this path as appropriate for your configuration. // Change this path as appropriate for your system. 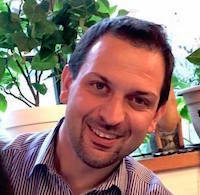 This entry was posted in Eclipse, final year projects, Java, opencv, teaching on 04/09/2015 by franco.